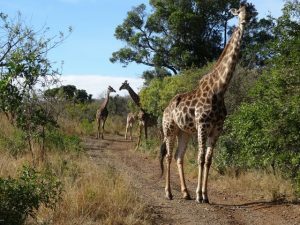 An ideal summer experience for Bioscience, Conservation and Photography students, giving you vital skills collecting data in the field and increasing your employability. This field project will focus on the gathering of information on Nile Crocodile movements, nesting, overwintering sites in KwaZulu Natal. Also population size in comparison to the last 20 years, current and historic threats to the species conservation, critical hands on data collection, the impact of cultural superstitions. 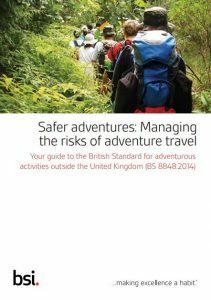 Data collected will be added to previous field work by Exeter University and others and shared with the broader scientific community. 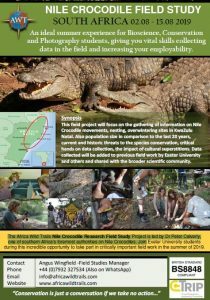 The Africa Wild Trails Nile Crocodile Research Field Study Project is led by Dr Peter Calverly, one of southern Africa’s foremost authorities on Nile Crocodiles.